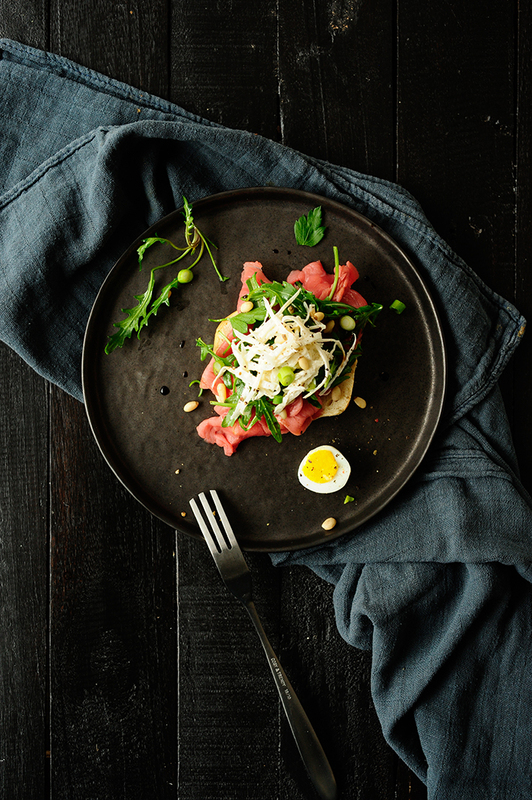 Thinly sliced beef carpaccio accompanied with an arugula salad and celeriac. Served with an egg and ciabatta. It’s a very tasty and pure combination, especially the mix of grated celeriac with horseradish and greek yogurt is my favorite. Stir the arugula with pine nuts, spring onions, olive oil and vinegar. Season with salt and pepper. Stir the shredded celeriac with Greek yoghurt and horseradish, season with salt and pepper. 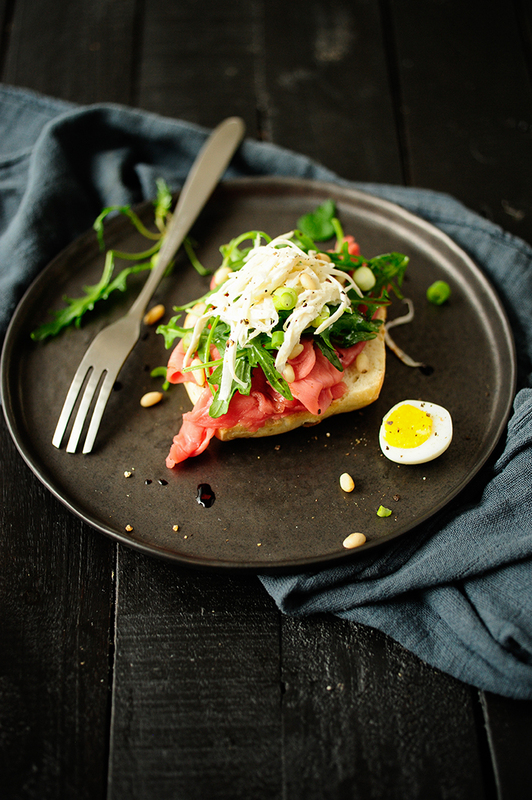 Cut the ciabatta in half, lay the carpaccio slices on each part of the ciabatta, decorate with arugula salad and horseradish celeriac. Serve with a hard-boiled egg.